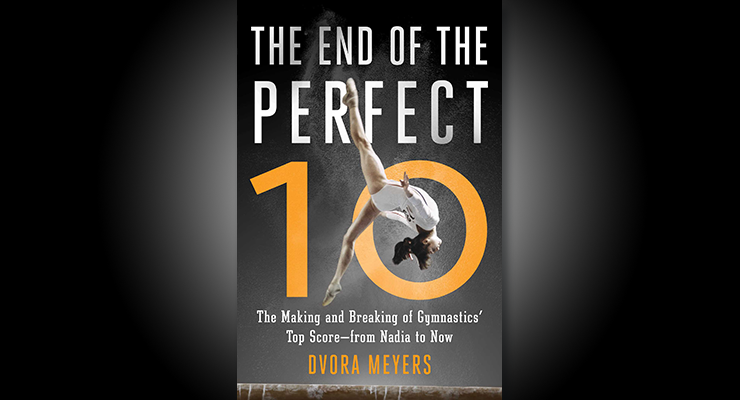 MythBusters in the book: Who were Nadia’s actual first gymnastics coaches, when the open-ended scoring system came about, East Germany set precedent for the current American training system. Texas Dreams taking athlete education to a whole new level. Is the marketability of the 10.0 real or is it just nostalgia. 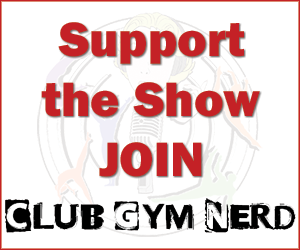 The gymternet versus dumbed-down Olympic television coverage. Are we better off now with the open-ended scoring system? (38:16) Which athletes qualified to Trials, list here. An ode to Alyssa Baumann’s gorgeousness and why we are so sad that she is injured. Which gymnasts should just be stoked to be at Trials and soak up the experience versus women who are actually in the mix. Will we see a team where both bars of the top bar gymnasts, Ashton and Kocian are on the same team? Will the business side of gymnastics come into who is chosen to do the all-around in Rio? Will Gabby do her Amanar and upgrade bars at Trials? Can Swaggie Maggie make the team without her Amanar, and the rise of Laurie Hernandez? Jessica’s Team: Simone Biles, Gabby Douglas, Laurie Hernandez, Aly Raisman, Madison Kocian, Ashton Locklear maximizing bars potential score (that’s right, six people because both need to go!). (1:21:13) Chusovitina made her Produnova and the judge at the end couldn’t keep her ish together! Romanian Nationals: Pre-meet Larissa got a concussion but still won, although she may have hurt herself on her bar landing. Ponor had a fever and was in the hospital with some kind of food poisoning/flu! UGH! Get Dvora’s book in our Amazon store here. Do you think it\’s possible that they sit KOCIAN in qualifications and let all 4 AA girls do the AA in qualifications? It sounds crazy, but then it\’s left up to the girls and the judges to decide who deserves to be in the all-around final. Yes, that means Kocian competes for the first time when she anchors the TF, but you guys made the point that she can do that bar routine in her sleep. Wouldn’t that prevent Madison from making the bar final? If so, I don’t think Marta would do that. Oh, you’re completely right. Scratch that. One intangible working in Laurie\’s favor — Marta may want to give a very young gymnast Olympic experience, just to build leadership for coming years. Especially since Laurie clearly has a motivator/leader personality. The other all-around locks (Gabby, Aly, Simone) are veterans. I hope that if Aly maintains her 2nd AA position, she gets to do UB in prelims! It\’s interesting to think about AA in qualifications and I feel like the obvious choice to leave out in the bars rotation situation is Aly. Granted Simone is definitely doing all 4 events for quals and Kocian is up to qualify to the UB final, both Laurie and Gabby have the potential to qualify to the UB finals as well. Gabby is usually consitant on bars and has a strong chance if she hits and Laurie is scoring 15.1, its obvious that they both have a shot of making the final with Kocian, unlike Aly. We\’re between Day 1 & Day 2 of trials, and I\’ve started to think the \”expected\” team of Biles, Raisman, Hernandez, Douglas, Kocian may be more legitimately debatable than initially anticipated. Skinner in particular seems to have put together an outstanding performance. (Dear NBC: If only we\’d seen it.) Nevertheless, I still think expected athletes will be the ones that go. At the Olympics, I basically expect Raisman to lose her AA spot to Kocian\’s UB in prelims & Douglas (probably) to get 2-per\’d out of AA finals. And that just hurts my heart. It\’s a shame the rules don\’t allow all the athletes to complete in prelims, even if the team had to pick 4 in advance to apply toward team qualification. With the new team format in 2020, will all 4 team members compete AA in prelims? Will this team composition problem be eliminated with the smaller team?